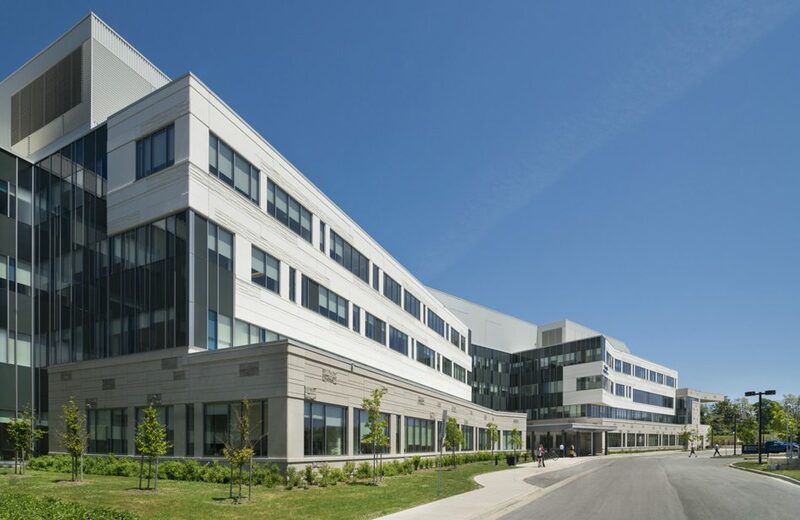 The Margaret and Charles Juravinski Centre for Integrated Healthcare at St. Joseph’s Healthcare Hamilton is more than just a healthcare facility for those with mental and mood disorders. It reimagines the very concept of behavioral health — breaking down barriers, removing stigmas, and integrating care and research. 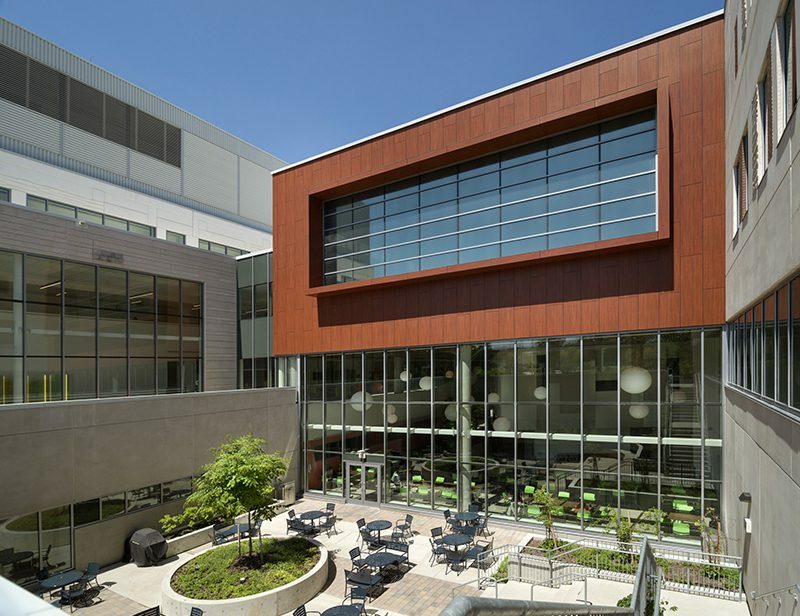 A therapeutic and empowering environment, the center supports current and future behavioral healthcare models and reinforces St. Joseph’s pioneering role in a new way of thinking. 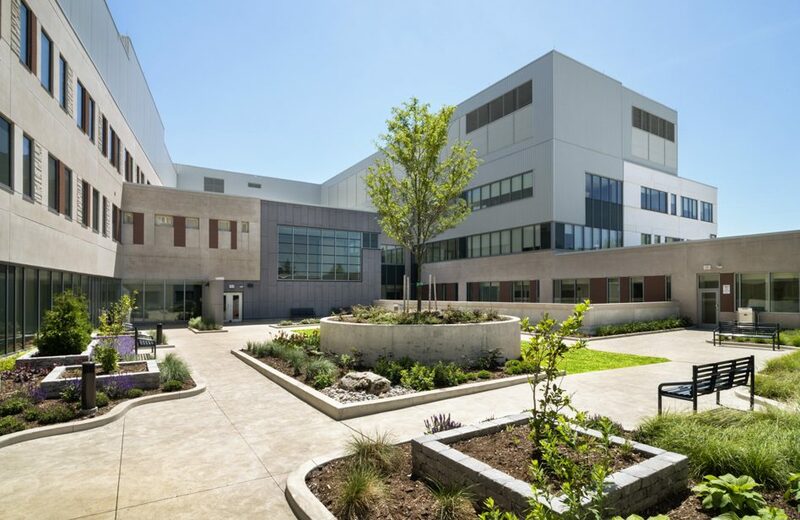 Bringing behavioral health services, medical services, community resources, and educational and research environments under the same roof helps foster the exchange of ideas among educators, researchers, students, and clinicians. 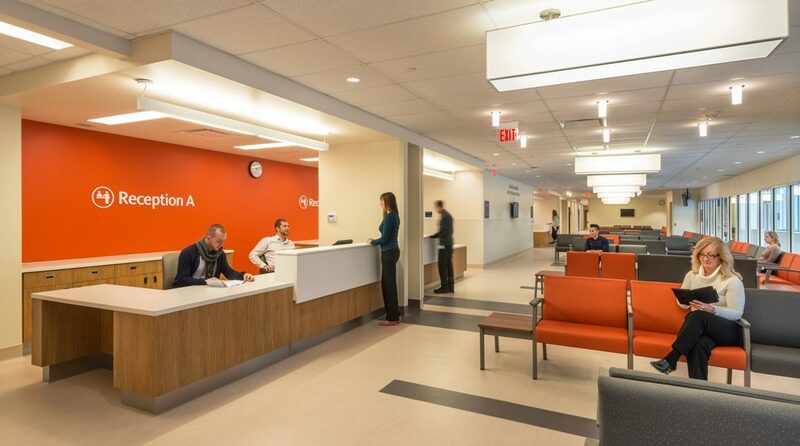 Research modules are strategically located throughout the facility in order to be highly visible, accessible, and integrated with clinical functions, encouraging greater patient participation and organizational synergy. The environment promotes personal dignity. The building is bursting with natural light and surrounded by trees and walking trails. 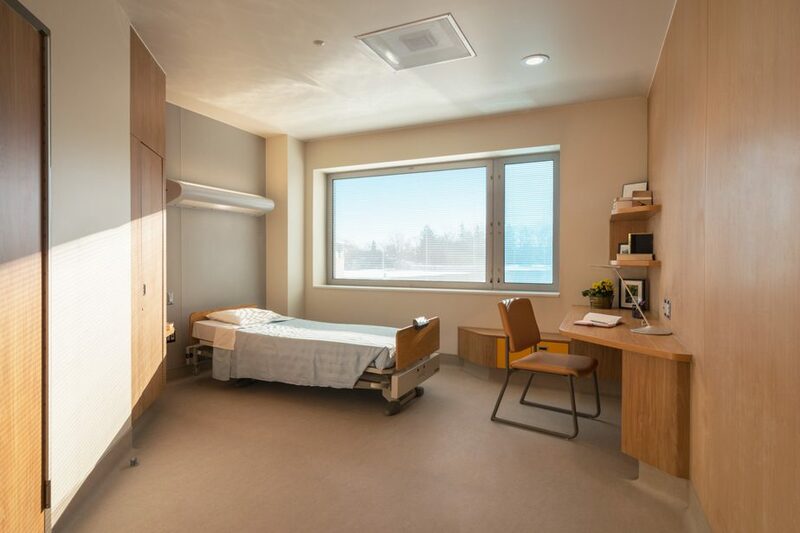 Inpatient and public zones are designed for independence and privacy, without compromising safety. 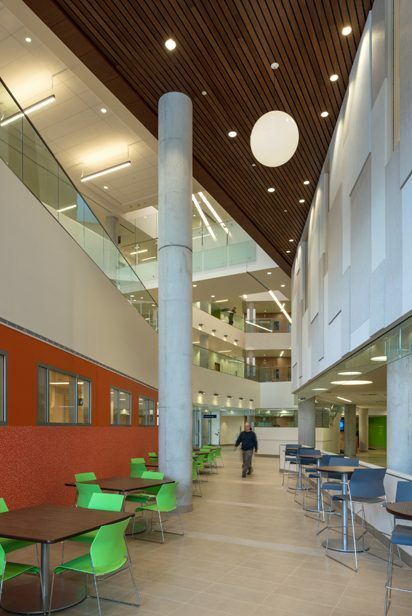 Colors, materials, circulation patterns and amenities — including a hair salon, gymnasium, clothing store, library, and coffee shop — contribute to a warm, destigmatized, patient-centric environment. 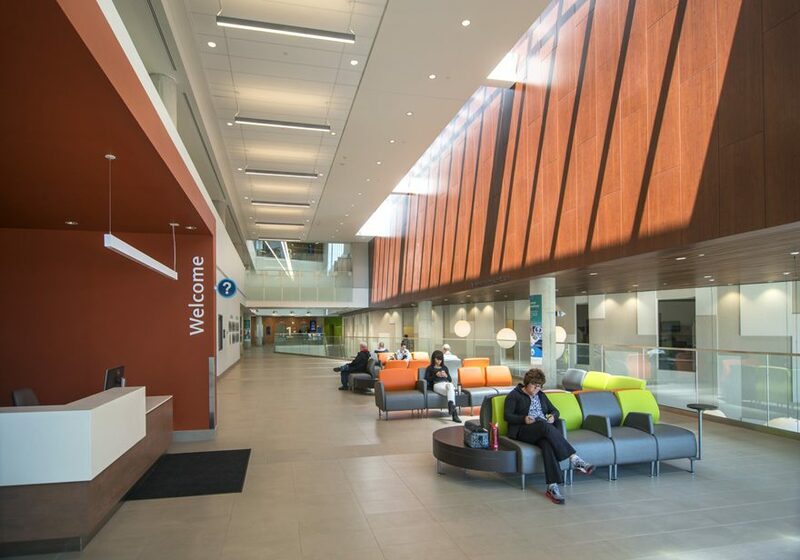 The Hamilton community is home to more than two million people, and more than 400,000 of them will be affected by mental illness at some point in their lives. 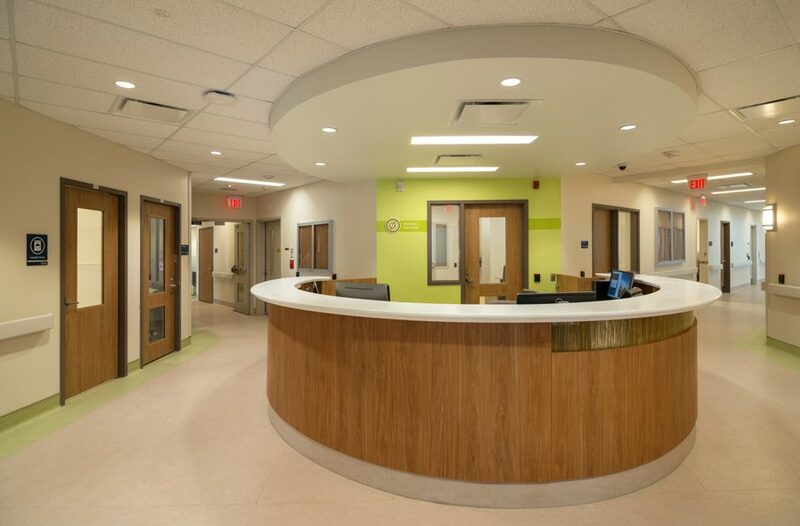 The new facility softens the lines between those receiving treatment and the community at large, opening their doors for outpatient services (diagnostic imaging, diabetes treatment, etc.) 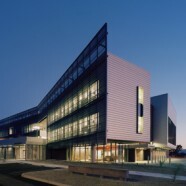 and offering up non-clinical spaces such as the auditorium and conference center as a community resource. 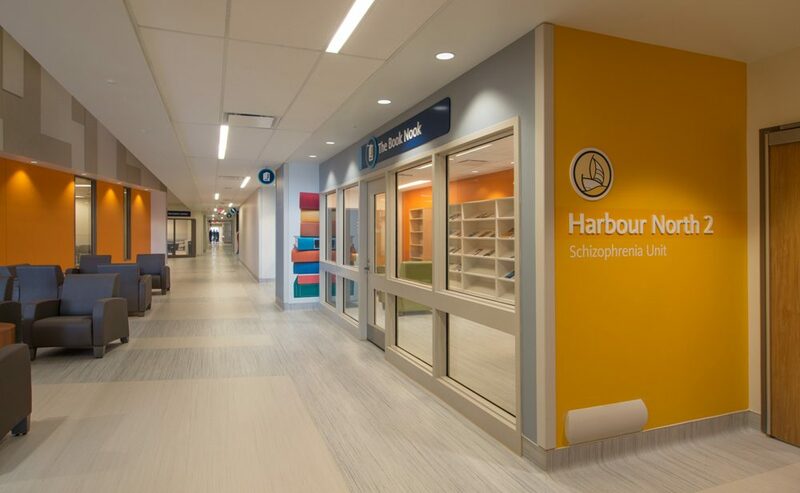 The new facility was created in consultation with nurses, psychiatrists, social workers and other experts, and is intended to change the face of mental health in the community. 850,500 s.f. | 79,014 s.m.